Since the 1980s, the artwork of Jose Luis Garcia-Lopez has been the marketing standard for DC Comics. From lunch boxes to Valentines and toys to apparel, Garcia-Lopez’s clean and fluid style is immediate and definitive, capturing the grace and power of DC’s superheroes and villains. Though it is tempting to name Deadman or even the Metal Men as his signature subject, his work on the Man of Steel stands out as the artist’s strongest sequential output, making him a perfect name to spotlight in the second Adventures of Superman hardcover. 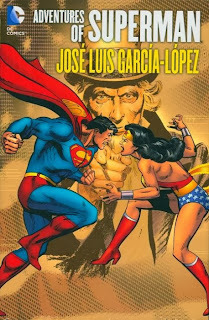 Like Rich Buckler before him, Garcia-Lopez was once considered to be the top talent to replace the legendary Curt Swan as the Superman penciller. Instead, Garcia-Lopez’s appearances became something of a treat -- top-shelf selection to kick off a news series (DC Comics Presents), draw the occasional story arc, and/or settle in on a nice cover run. His sequential prowess is masterful, which makes a first-time collection like this a wonderful set of Superman tales fit for any fan. Much of what is included in this book is being reprinted for the first time. DC has finally gotten around to re-issuing their long out-of-print, oversized treasury editions in recent years, including Superman vs. Muhammad Ali, Superman vs. Shazam!, the Superman “Secrets of the Fortress of Solitude” story and, in this volume, Superman vs. Wonder Woman. Much like the Gil Kane volume, this set is, for the most part, the first-ever high-fidelity presentation for many of these stories. Included in chronological order, the stories start out with inking by Vince Colletta, Bob Oskner, and Frank Springer. At his best when inking his own work, Garcia-Lopez has his Superman bulked up here and weighted by heavy black ink. Though more in line with the “house-style” Superman, these stories have the layout and design but lack the energy of his best work. These early stories range from the classic, complex, and emotional tale of Solomon Grundy’s search for his other-Earth counterpart to the goofy Atom team-up “Seven-Foot-Two ... and Still Growing!” The first one scores with an uneasy ending more in line with Dennis O’Neil’s Batman than the usual Super-fare, while the latter takes a more comedic approach. The wild tonal changes are on display when “Seven-Foot-Two ...” shifts into a violent and introspective Supergirl team-up that questions the origins of the entire Super-mythos. Despite the high-quality Grundy and Supergirl stories ahead of it, Superman vs. Wonder Woman is no doubt the pillar of this collection. A World War II period piece, the plot has Superman and Wonder Woman clash over the use of the atom bomb by the Allies in Japan. This is an early appearance of the "Superman: U.S. Government Edition" concept that would be immortalized in The Dark Knight Returns and elsewhere -- at odds with his fellow superheroes. The artwork is flawless and presented here in even greater glory than seen in the oversized pages of the 1977 original. Dan Adkins inks preserve the core elements of Garcia-Lopez’s work, giving the first look at the clean and powerful dynamism to come. This is a true super-powered throw-down, unencumbered by history and, in some cases with Superman’s attitude, characterization. You will find yourself sitting with the story for hours and returning to soak in the majesty. It is great to see this DC classic finally get the proper reprint treatment. From there, it is all vintage Garcia-Lopez with a set of DC Comics Presents stories that have served as Superman highlights since their original publication. With Deadman, the Metal Men, Firestorm, the Flash ,and Robin involved, these one-to-two issue sets are pure shots of classic “Bronze-Age” DC that, for children of the 1970s and 1980s, brought their lunchboxes to life. The one mis-step in the reproduction comes on the one-shot “The Sleeper Out of Time” from Superman #347 (1980). Despite 343 additional pages of masterful Superman artwork, this is the story that marked the zenith of Garcia-Lopez’s work on the Man of Steel. It is an absolutely gorgeous issue written by Gerry Conway, with one foot on Earth and one in deep space -- the equivalent of a catcher and pitcher calling and throwing a perfect game. Unfortunately, the rich detail and clean line-work of the original is destroyed here by fuzzy, low-fidelity reproduction. 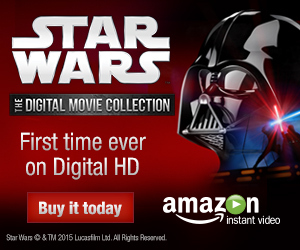 Personally, I was looking forward to seeing that story in high-definition the most and it actually appears here in devolved form. What a shame, especially since this problem plagued the earlier Marshall Rogers Batman hardcover as well. Despite this, it is impossible to not give Adventures of Superman: Jose Luis Garcia-Lopez the highest recommendation for fans of Superman, DC Comics, and even mass marketing imagery. This is a rich set of mostly first-time reprints presented in nearly flawless reproduction. DC was very smart to roll out the very best of non-Swan Superman artists over the first two volumes of Adventures of Superman, reminding fans of the timeless qualities brought out by the best of the best.